Some people worry that by learning Spanish in one country, they won’t be able to understand the dialect of another. But this isn’t true. 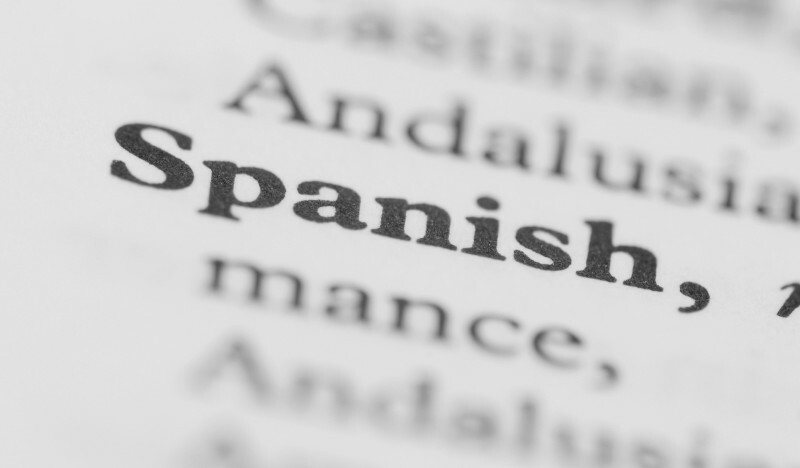 With a solid grasp of the fundamentals you should be able to communicate in any Spanish-speaking region, regardless of where you originally learned it. Yet each country has its own unique idioms, style and slang that won’t be immediately understood by outsiders. So below, I’ve highlighted five things that I wish someone had taught me about Costa Rican Spanish that will have you sounding like a Tico in no time. Nowhere else would you tell a waiter to “gift” you a pizza or to give you a beer (as a present). But oddly enough, somewhere down the line, Costa Ricans started substituting the verb regalar (to give as a gift) for dar (to give) when requesting products, services, or information. So if you want to order a drink, instead of saying, “Deme una limonada por favor” (Give me a lemonade please), you would tell your waiter, “Regáleme una limonada.” Although it sounds strange, this is completely normal in Costa Rica and would be understood perfectly. Using regalar in such a way isn’t limited to ordering food either, it can be substituted in many other situations as well. Here are some other ways in which regalar can be used. Language students will already know that there is more than one way to say “you” in Spanish. In fact there are three: usted, tú and vos. Usted is used in formal situations while tú and vos are usually reserved for conversations between friends and family. So if you’re not sure which form is appropriate, stick with usted. It works in all situations and will always be respectful and acceptable. While usted can always be used, Ticos almost never use tú, and when spoken between locals it can sound downright strange. Instead of tú, Costa Ricans favor the informal vos. Most students aren’t very familiar with vos, but it is similar to tú and widely used in many countries including El Salvador, Nicaragua, Paraguay, Uruguay and Argentina. Conjugations using vos are a bit different but can be easily learned and understood. With a little practice you can add vos to your own arsenal. Of course it’s not always easy switching between formal and informal on the fly, but don’t fret. It’s perfectly safe and acceptable for foreigners to speak using only tú (or any other form with which you are comfortable). If you remember just one Spanish phrase from your Costa Rica trip it will undoubtedly be “Pura Vida”. The expression is unique to the country and is one you will hear daily and in many different situations. Translated literally it means “Pure Life“, but Costa Ricans use it broadly to convey a favorable sentiment or to respond positively to a variety of questions. Here are some common uses. Get used to saying “Pura Vida”, it will be an essential part of your Costa Rican vocabulary. Muchacho/a means “boy” or “girl” and is a word you would normally use to refer to a child or someone younger than yourself. This is why I found it very hard to summon adult waiters, much older than me, by addressing them as if they were young children. But as it turns out, this is not considered disrespectful in the least and is the preferred way to address workers in the service industry, employees in shops, etc. So don’t be afraid to grab a waiter’s attention by calling out, “muchacho!”. Of course this doesn’t work so well the other way around, as a Costa Rican friend of mine visiting the US quickly found out! I hope I haven’t scared you into thinking that you have to use all of the above correctly 100% of the time. The best way to learn a language is to jump right in and start speaking – mistakes and all. In the real world, you won’t be punished for grammatical errors, and you’ll score major points with locals just for trying. These tips should help as you unravel the mysteries of Costa Rican Spanish.